What kinds of images come to mind at the thought of a vacation in the tropics? An early morning stroll down a deserted beach, waves washing against the sand by your feet, as the muffled roars of howler monkeys drift out from the jungle behind the coconut palms? An afternoon tanning session at a swimming pool surrounded by tropical foliage, with a commanding coastal view of forest-hemmed coves, rocky points and rugged islands? A cocktail hour complete with Pacific panorama, as the heat of the afternoon subsides and the fiery ball of the sun slips slowly into the ocean from which your dinner was recently pulled? Such imagery is neither fantasy nor exaggeration. 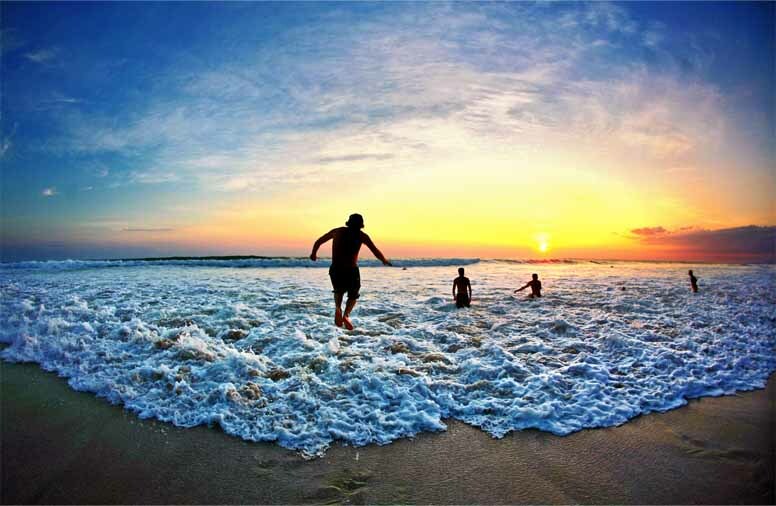 It is a mere sampling of the unforgettable experiences that await you on Costa Rica’s beaches.